The majesty of the Rocky Mountains pulls at our hearts all year around, but winter holds a special magic. We've made a list of our favourite things to do around Canmore, Alberta, and, in our gorgeous backyard playground. Dog sledding is a Canadian experience that can’t be missed. Glide down pristine mountain trails in hand-made oak sleds, led by highly trained guides. Snowy Owl Dog Sledding Tours offer an unforgettable experience. If it's too cold to explore outside, Canmore has public murals, galleries and festivals showcasing some of Alberta's best talent. From the public murals to the markets and festivals held year-round. Tavern 1883 will test your general knowledge with trivia and chances to win prizes and gift cards. This fun Wednesday night includes happy hour, a late night menu, as well as learning some interesting trivia. Head out on the trails of fresh snow and explore our beautiful mountain valley landscapes and trails. View Tourism Canmore's trail guide. 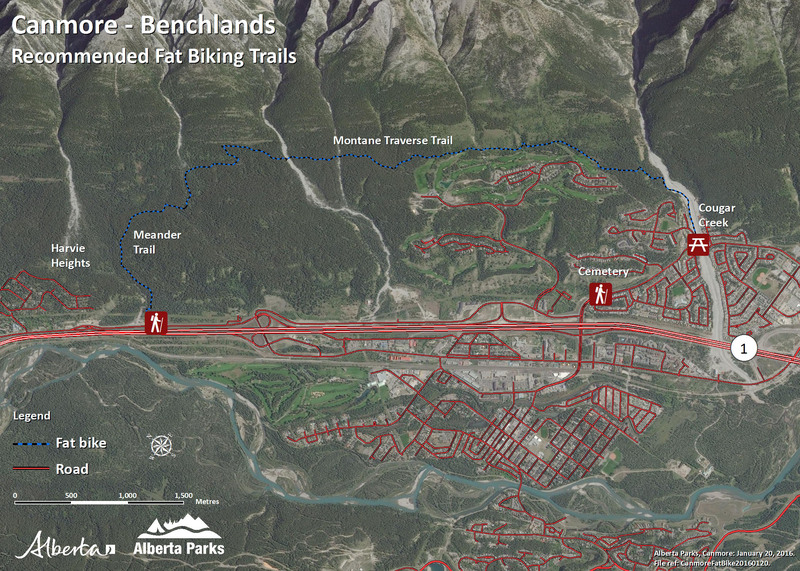 Get your bike out and enjoy the trails in Canmore. Alberta Parks Highline Trail, Meander Trail and Montane Traverse Trail offer a wide variety for riding. Map out your adventure today. Follow your Kananaskis Outfitters guide through a frosty canyon decorated with frozen waterfalls and ancient pictographs. This 4.2km trail with 100m of elevation gain is suitable for anyone over 8 years of age. The walk takes 2 to 2.5 hours. Enjoy ice carving competitions, kids’ ice carving, skating parties, street hockey, log sawing competitions and more. Get a close look at Wildlife Distillery. Learn the company history, process of craft spirit production, and sample delicious in-house made spirits. Too chilly to venture out? 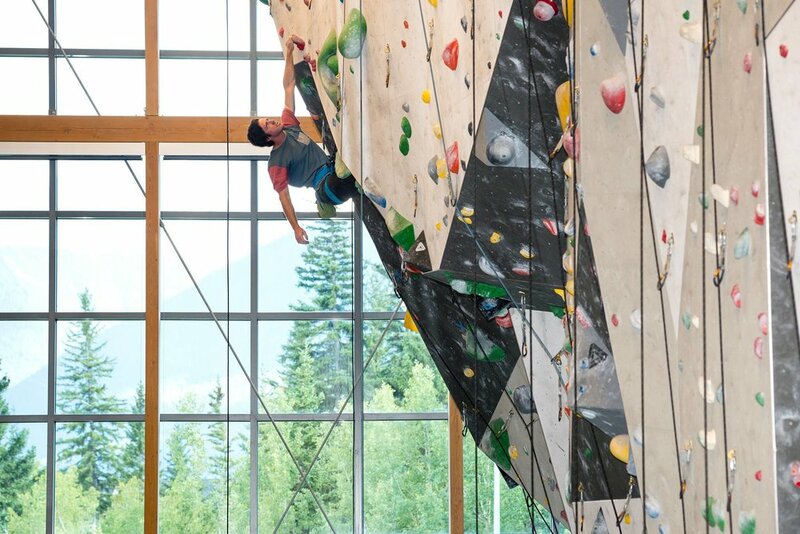 Try out your rock climbing skills inside. Elevation Place offers a large pool, climbing gym, fitness gym, and numerous daily drop-in core classes. Take the kids out to enjoy some skating, two blocks off of Main Street. Heated gazebos make it easy to change into your skates and warm up. Canmore and the Canadian Rockies offer some of the best ice climbing in the world. Yamnuska Mountain Adventures offers a wide range of ice climbing instruction and guiding for people of all skill levels. Select evenings of live music and good company. Communitea serves healthy, fresh food made from as many local and organic ingredients possible. Specializing in gluten free and vegetarian/vegan options. Warm up with delicious gourmet coffee or a house-made soup, grilled panini, salumi and cheese platters, and beer and wine, served seven days a week. Murrieta's is great for a special night out or casual dining. An elegant dining experience with small-town hospitality. The Canmore area is known for its local, authentic, mountain-town feel. Shop in our one-of-a-kind of shops and boutiques. From outdoor clothes, original art to specialty chocolates — we have it all. Looking for great deals on Canmore resorts?